Brendan Rodgers will be without summer signing Adam Lallana for Liverpool’s first game of the season as the England international has a knee injury. Daniel Agger, Jon Flanagan and Lazar Markovic are doubts, but could feature in some capacity. Rodgers may be tempted to field that same XI which took to the field in the friendly against Borussia Dortmund last weekend, which would see Dejan Lovren, Javier Manquillo and Emre Can handed their first competitive starts for the Reds. After a summer fire-sale, Ronald Koeman may be tempted to start all of his 5 summer signings for the trip to Anfield. Fraser Forster, Ryan Bertrand, Saphir Taïder, Dusan Tadic and Graziano Pellè could all feature from the off as Southampton look to claim a huge scalp early in the new campaign. Jay Rodriguez is Koeman’s only injury concern, while wantaway midfielder Morgan Schneiderlin is expected to miss out here. 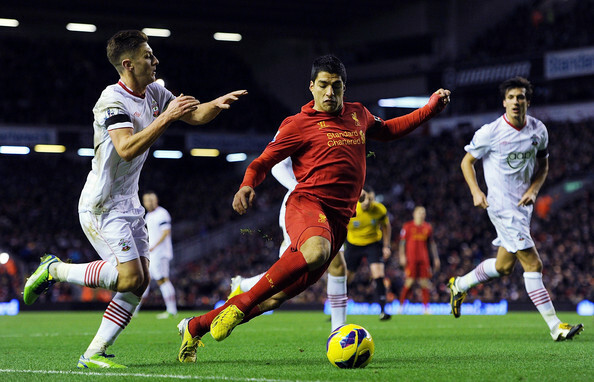 Liverpool begin life post-Luis Suarez with the welcome of Southampton and Brendan Rodgers will be keen to avoid a similar result at Anfield against Saints to last season. The south coast club secured a memorable 1-0 win over their Premier League counterparts, so Rodgers will want the team to avoid complacency this time out. Koeman has a number of new arrivals to call on for the trip to Merseyside and despite their limited time together, they will need to adjust to the rigours of the Premier League quickly if Saints are to replicate their feats from last term. Unfortunately for Saints, Liverpool still have enough about them to secure maximum points here so I predict a 2:1 at final whistle . At the time of this post, NaijaBet is tipping Liverpool to win at slightly over 100% and Southampton to win at over 700%. Liverpool have started their competitive season already with 2 games in the Europa League. They are looking a lot better this season and with the new signings I expect them to do a better. Arsenal have been tipped again by many to run close to winning the league. I am not too sure. They are over rated in my eyes and they showed it at the end of last season. I am looking at the odds here for a Liverpool win and I can’t believe they are 2.5. Arsenal did the double over Liverpool last year so maybe that explains it but this year they have a new mananger and some great new signings. Liverpool win for me, its 2.5 at VC Bet. Another bet worth considering is both teams to score. Thats 2.0 at bluesquare. Looking at the stats, in the last 10 games, it would have come in 9 times.